With feminism and what it means so firmly back on the public agenda, there’s never been a better time to get to grips with its role in art and culture. There are no two ways about it: I feel out of my depth. I’m standing in a blessedly cool corridor on a 35-degree day, about to meet with Professor Anne Marsh, Professorial Research Fellow at the Victorian College of the Arts. In the thick of organising a massive, three-month program of artist residencies, performances, artists’ talks, screenings, and cross-generational mentoring programs, she has somehow found some time to talk with me about art, history, feminism, and her upcoming symposium Women* Art and Feminism in Australia since 1970. Though I’d call myself a feminist in a heartbeat, aside from irregular contributions to a feminist haiku Facebook page, my interaction with and knowledge of feminist issues come up woefully short. About art I know even less. Marsh’s office, on the University of Melbourne’s Southbank campus, is small but inviting. Art journals and books line the shelves, multi-coloured Post-Its adorn the walls. There are two comfy, low-slung, mid-century-ish chairs in the centre of the room. 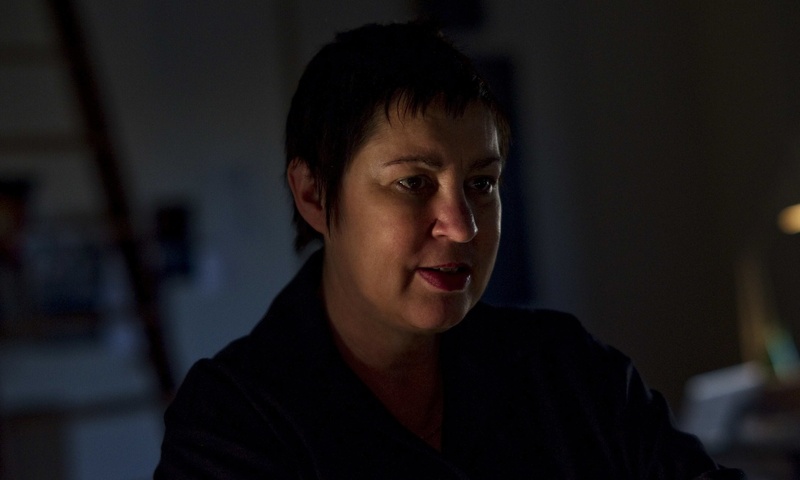 Marsh has had a long-standing interest in feminism, as an installation and performance artist in the 1970s, and throughout her academic career since. She has been published in books, art journals, and magazines; she has written numerous exhibition catalogue essays; and she has given keynote addresses at conferences worldwide. She’s also warm and open, and if ever there were a time to bring my knowledge of feminism and art and Australia up to speed, this is it. I ask for a potted history. 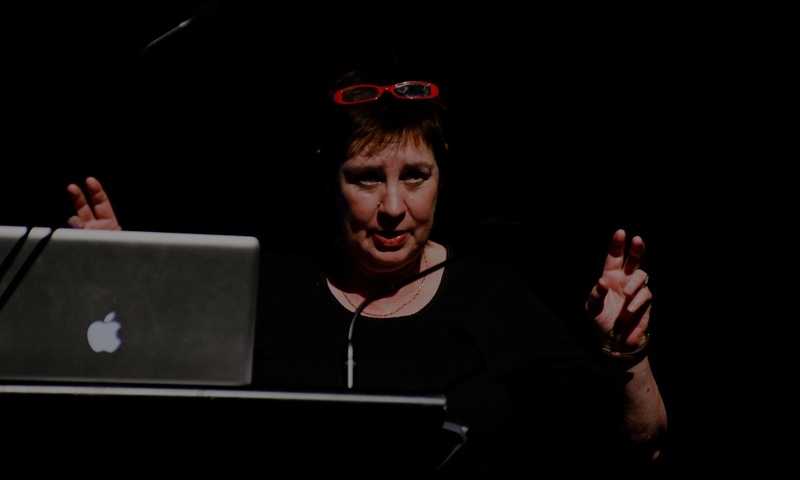 Professor Anne Marsh presenting as a keynote speaker for SEXES, 2012. Image supplied. But it’s a big ask, and really not that straightforward. “Well, it starts with suffrage, back in the late 1800s – you know, women getting the vote …” She trails off. I sense Marsh is organising her thoughts – and there must be a lot of them, given she’s currently in the midst of an Australian Research Council-funded project on the last four decades of feminism and art in Australia. In terms of art, Marsh mentions something that seems sadly obvious: that female artists are still – in 2018 – under-represented in national survey exhibitions and international biennales, which are often top-heavy with male artists. I ask why that might be. 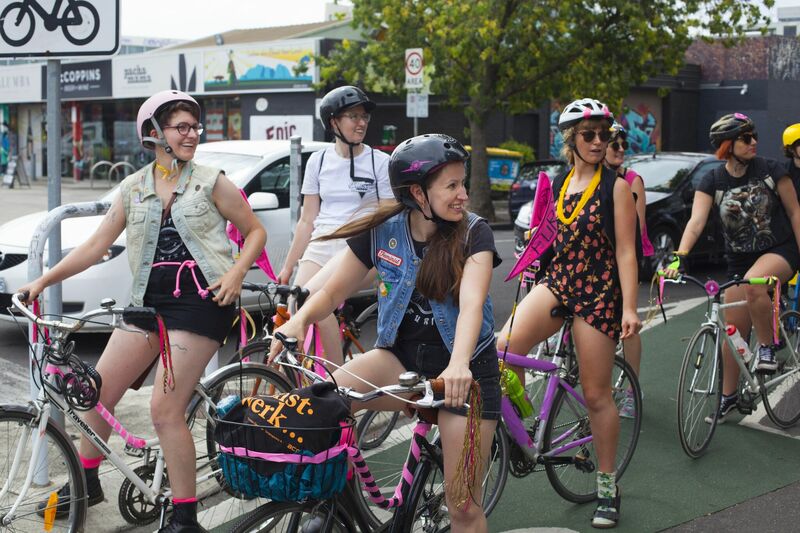 Snapcat’s Lightning Furies women and non-binary bike gang bike ride, part of Doing Feminism / Sharing the World. Image by Hannah Moore. Doing Feminism will culminate in a three-day symposium, Women* Art and Feminism in Australia since 1970 from 21–23 February at the VCA. 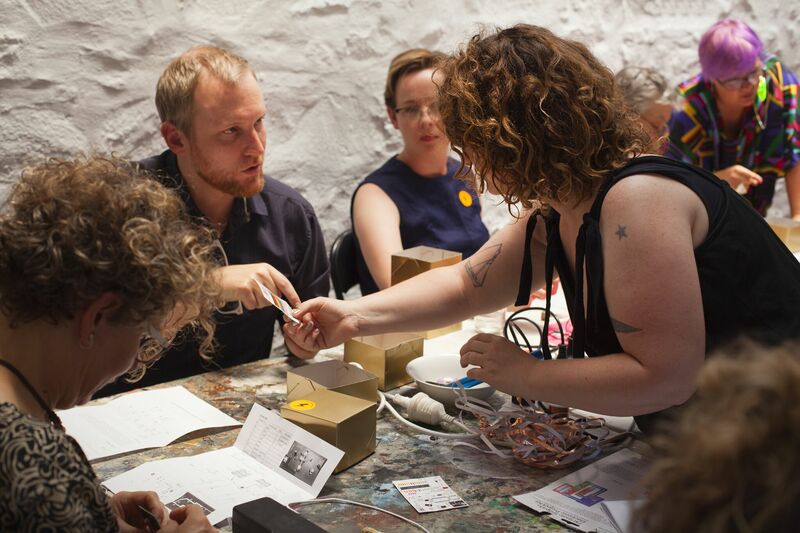 The program is daunting, covering everything from cyberfeminism to race, art, and disability. The speakers are visual anthropologists, desert weavers, medical practitioners, and university professors. There are panels on the female body, on activism, immigration, and displacement. There are performances. When Marsh reels off everything that will be happening, it seems impossible that it will all fit within three days. Having gained a little confidence over the past hour that perhaps I knew more about feminism than I thought, I suddenly feel at sea again. Will the symposium be, um, accessible to people who perhaps don’t know that much about art and feminism? Sisters Akousmatica, producing performative art radio to support, promote, and cultivate women’s voices as part of the Doing Feminism / Sharing the World program at the Norma Redpath Studio. Image by Hannah Moore. I’m hesitant to ask the next question, a little afraid of what I might hear – because for all the small gains being made, for all the retweeted tweets and trending #MeToo-style hashtags over the past six months, it seems (to me, at least) that there is still a dispiritingly long way to go. But I dive in. Do you think we’re on the brink of a new age in feminism? Marsh pauses a moment, laces her hands together, leans forward. She pauses again, weighs her words. I glance at the clock on my phone. Our time is up, and Marsh, ever busy, is heading up to the VCA’s Norma Redpath Studio for the evening’s Doing Feminism event. She presses a copy of her latest published article in my hands and says she hopes to see me at one of the symposium events. I’m looking forward to it – maybe I’ll even write a haiku. Women* Art and Feminism in Australia since 1970 runs from Wednesday 21 February – Friday 23 February at the Victorian College of the Arts. Book tickets via Eventbrite. Banner image: Professor Anne Marsh. Image by Sonia Payes.